The exhibition “A Vanished World” aims to familiarize inhabitants of socially excluded localities (ghettoes) with a lesser-known chapter of their history, the Romani Holocaust. The tour attempts to correct this fatal lack of knowledged about the history of their own people during the Nazi era. As we know, ignorance of one’s own history usually leads to problems in the present. The travelling exhibition, A Vanished World, is being shown in ghettos around the Czech Republic, teaching people not only what constitutes an acceptable model of social behavior, but also how to prevent conflicts and the importance of self-sacrifice. Ultimately, this teaching is of benefit to the majority society as well. Due to a lack of external stimulation, we can see that most citizens residing in the ghettos today are suffering from being closed up in their own group, from a kind of lethargy, a lack of imagination, a learned helplessness and low self-esteem. There is lack of a vision of the future there and a lack of will to plan. This travelling exhibition project will help us better get to know ghetto residents, to follow their energy levels, to identify leaders among them, to motivate them appropriately to bring others out of their lethargy, to be able to recognize impending dangers, and to become experts about their own lives. We will familiarize them with that time period by exhibiting copies of historical materials from the Nazi “gypsy camp” at Lety u Písku and the Auschwitz extermination camp. Visitors will be able to see the life stories of traditional Czech Roma and Sinti people. 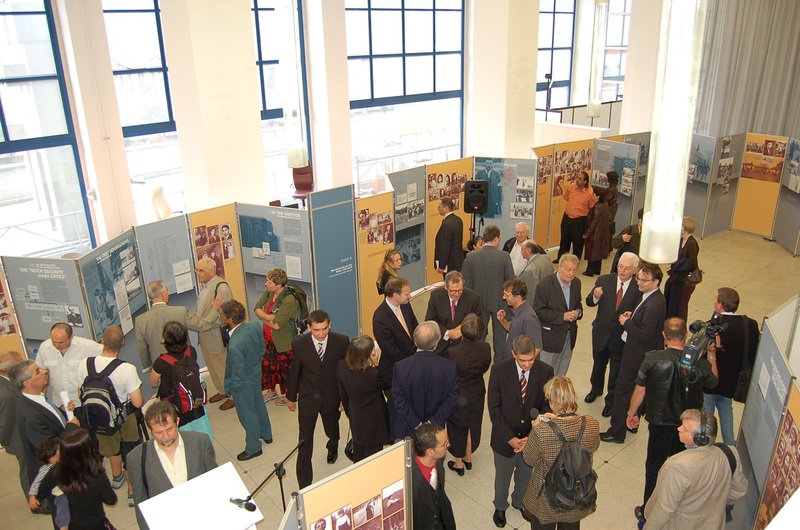 An integral component of the exhibition is documents about the prisoners in the Nazi concentration camps. Together with an exposition about the tragic fate of the Slovak Roma participating in the resistance to Nazism and in Partisan divisions in Slovakia we will also map the participation of the Czech Roma named Murky and Serynka in the Partisan struggle. Knowledge of our own history is a way for us to become aware of our identity, of our cultural values (some Romani people have lost the cultural values that even the majority society once admired us for), and as a final result, for us to become proud of our origins. Contemporary official estimates say there are between 250.000 – 300.000 Roma living in the Czech Republic, of whom as many as 90 % come from Slovakia. A significant segment of Romani people have been educated in “special schools” where they have not learned anything about the history of the Slovak State, their own history, or the fate of the Bohemian and Moravian Roma. In 1940, Slovakia became an official ally of Nazi Germany. That chapter of history is one that the Slovaks were not proud of after the war. Romani parents also have not discussed their experiences from that time with their children. They have been afraid that their children might have problems in society with that information. Traditional Czech Roma and Sinti have had similar experiences. In the Czech schools, today pupils and students also learn almost nothing about the tragic fate of the Roma and Sinti. The project of the traveling exhibition “A Vanished World”, which we have designed, corrects this lack to a significant degree. 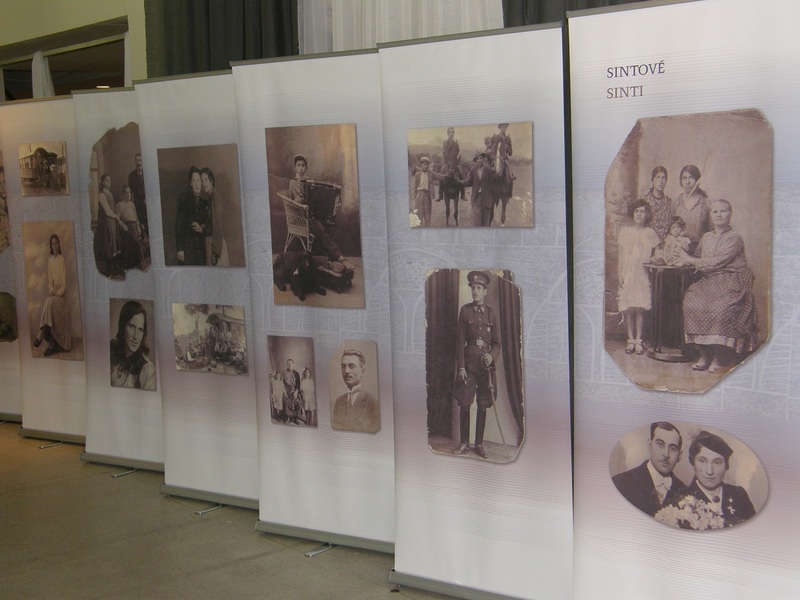 The exhibition raises awareness about the National Socialist genocide of the Roma and Sinti. A minimum of half a million members of this minority fell victim to that genocide during the Second World War. 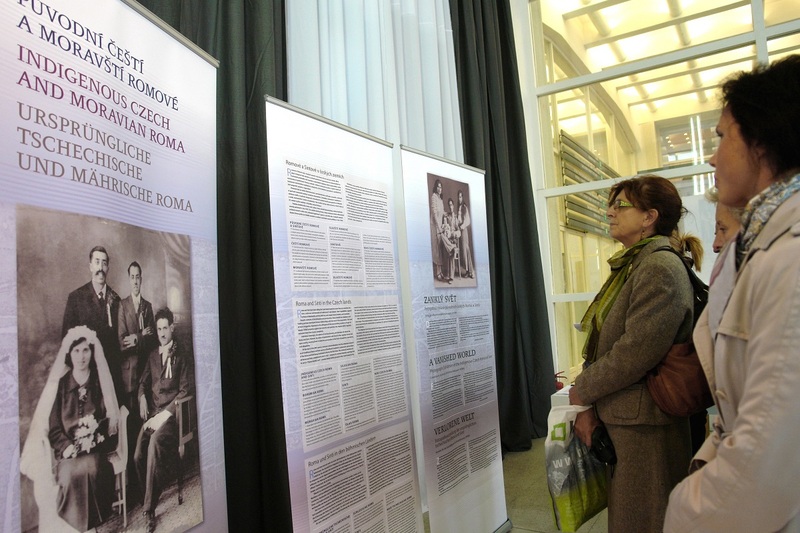 The exhibition also documents the fact that the Roma and Sinti have been living in the Czech lands for 600 years. They represent, therefore, an organic component of Czech history. The assorted relationships that once existed between the majority society and this minority, which had been shaped by history, were systematically destroyed by the Nazis and the governments that collaborated with them. 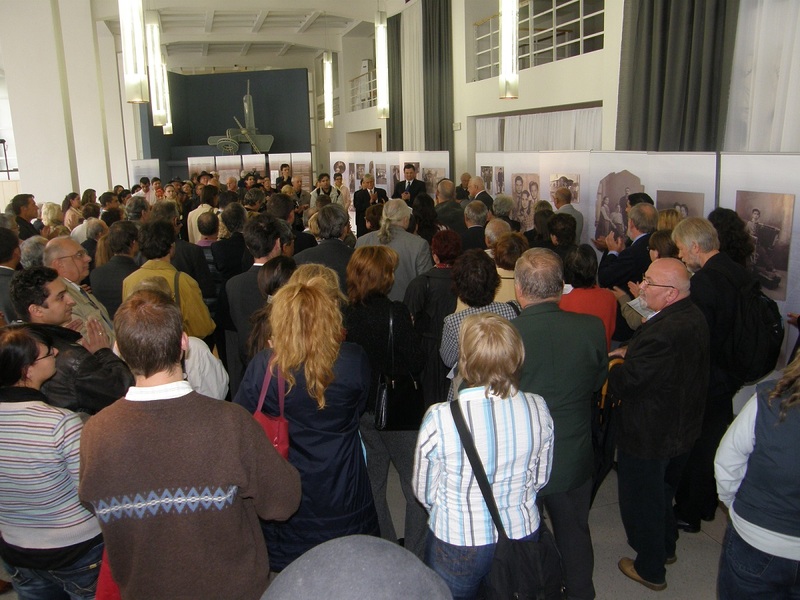 The interwar biographies of the traditional Czech Roma and Sinti, in confrontation with copies of historical materials from the “gypsy” camps and concentration camps, as displayed in the exhibition, are based on the instructional materials from the archives of the project organizer (VPORH) designed for the broader public. During 2015 and 2016 the exhibition “A Vanished World” was presented in selected locations. VPORH chair �en�k R��i�ka guided visitors through and moderated discussions about those presentations. 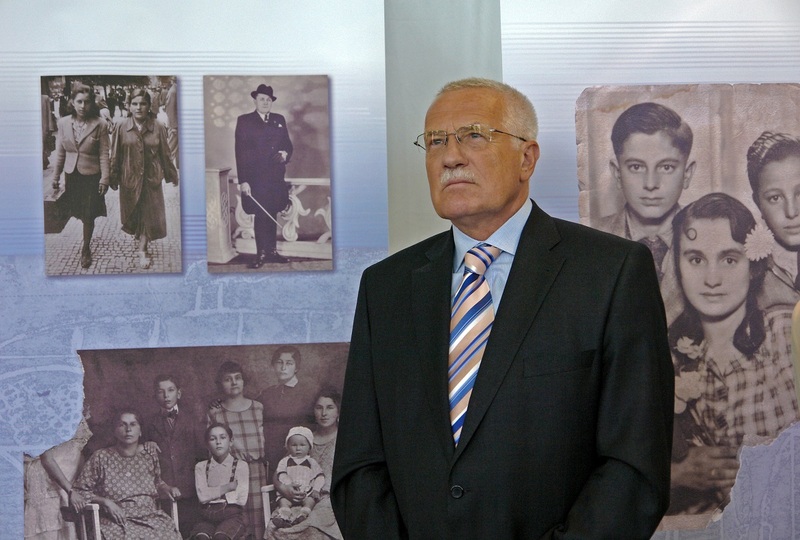 Another participant has been Jan Hauer, a Rom Sinto who lost most of his fmaily in the concentration camps. The traditional Roma and Sinti consider him an exceptional figure, a walking encyclopedia of knowledge about Romani culture and history, including their tragic fate during Nazism. Another assistant and moderator was the chair of Forum.cz, Miroslav Ková�, who is also an expert on Romani history and origins who. These moderators are all familiar with both the failings and the unmet needs of many ghetto residents, and are therefore well-placed to communicate the this information to them. The organization of this traveling exhibition involves cooperating with cities and municipalities, with local volunteers, and with both pro-Romani and Romani civic associations and NGOs. We invite principals of schools in the catchment areas of socially excluded localities to attend the exhibition with upper primary pupils or secondary school students in 2017. For the purpose of keeping costs down, the organizers are using a recreational vehicle to transport the exhibition from place to place. Both non-Romani people and Roma are living in the ghettoes today. 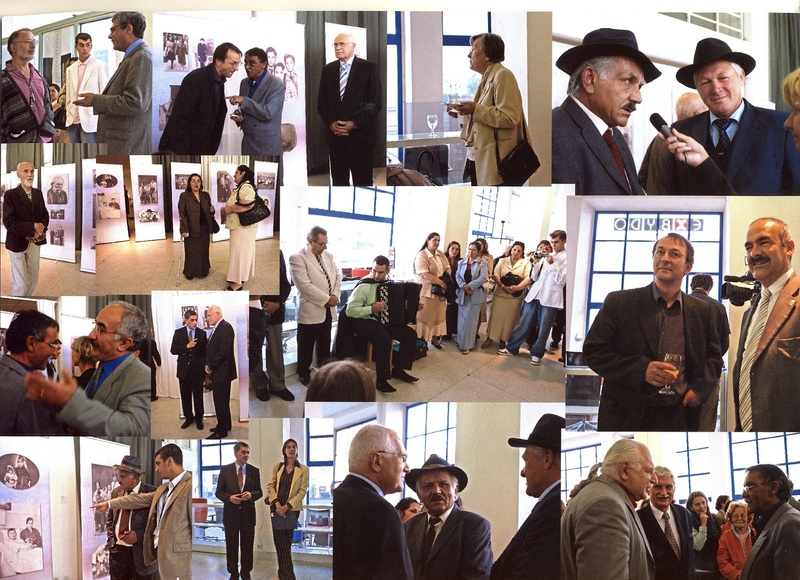 This exhibition plans to serve both groups and is in accordance with the principles of the Czech Government Romani Integration Strategy to 2020. The exhibition is under the auspices of Czech Culture Minister Daniel Herman. It will include English and Romanes translations of the material. (Information about more projects below.). The commemorative ceremonies that VPORH has organized annually since 1998 at the site of the burial ground for the Lety victims do not just honor the memories of the concentration camp victims and of the Romani Holocaust victims in general, but because of the specific history of the location, the ceremony is always connected with urgent calls upon the Czech Government to get rid of the controversial industrial pig farm located on the site of Roma suffering and to restore the dignity of the place. In 2014, on the occasion of the commemorative ceremony at the site of the Memorial at Letyu Písku, VPORH, supported by the Czech Culture Ministry, presented “A Vanished World” there as well under the auspices of Mgr. Daniel Herman. An integral component of this effort is the initiation of conferences, public hearings, and other public dissemination of information about the Romani Holocaust. 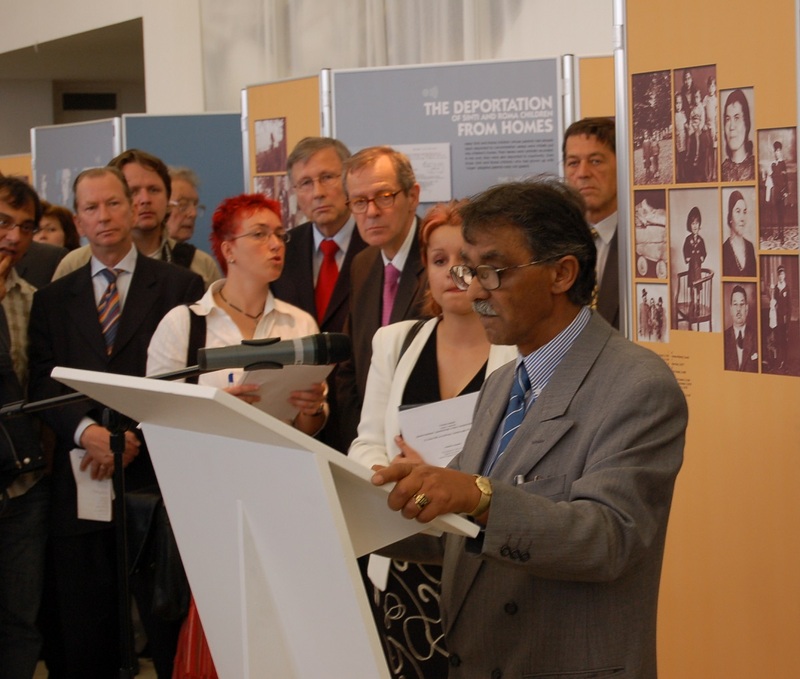 �en�k R��i�ka, president of the Committee for the Redress of the Roma Holocaust in the Czech Republic, regularly lectures free of charges about relationships between the majority society and Romani people and possible ways of resolving interethnic tensions. A surprisingly large amount of interest has been expressed in his lectures for the public in various locations. From 1998 through 2002, �en�k R��i�ka worked as an external consultant to the European Centre for Roma Rights (ERRC) on organizing a project to map Romani children in the so-called special schools. One outcome of that international project was an extensive publication, authored by the ERRC and entitled Stigmata: Segregated Schooling of Roma in Central and Eastern Europe. The problem is also summarized by an ERRC report on Persistent segregation of Romani children in the Czech education system.